True life: I am a snacker. I’m not saying that as if it’s some kind of shameful confession; it’s just reality. Some people do well with three square meals. Others do well with six small meals. People like me prefer to have three meals plus a few snacks sprinkled in throughout the day. 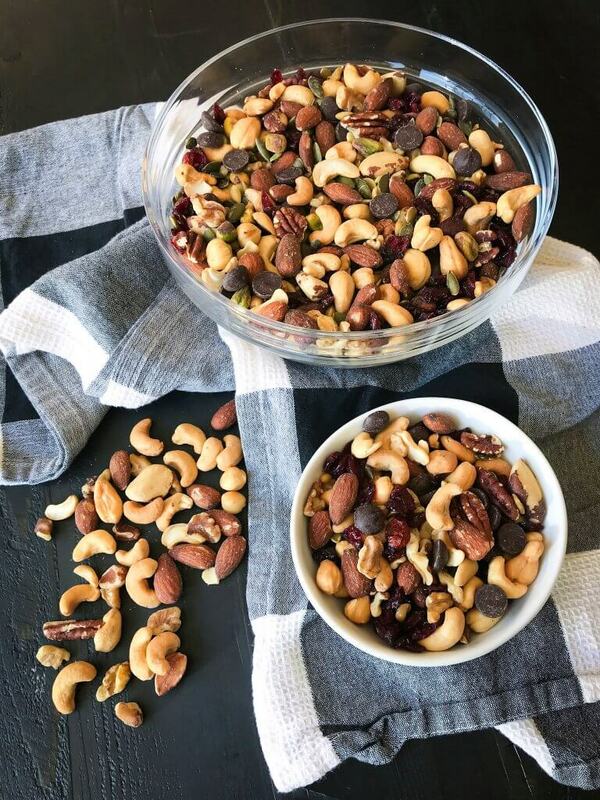 If you do too, then this Healthy Homemade Trail Mix is for you! Again, there is absolutely nothing wrong with being a snacker! In many cases, snacking can actually help prevent overeating at meals. At the end of the day, you just have to do what works best for you, your schedule and your unique nutritional needs. Snacks tend to get a bad rap because people typically think of foods like candy and potato chips, but incorporating snacks can be a great way to sneak in some extra nutrition throughout the day! Some of my favorite snacks include cheese (in any and all forms), bananas with nut butter, unsweetened dried fruit, baby food squeeze packs (don’t knock it ’til you try it), unsweetened cinnamon applesauce, a few spoonfuls of almond butter, kefir, cuties, veggies with hummus, and last but definitely not least, this Healthy Homemade Trail Mix. Let me tell you why. What I love most about this trail mix is that it is incredibly satisfying in multiple ways. 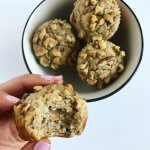 Nuts are a great choice because they are full of heart-healthy fats. Yes, fat is higher in calories, but this is not always a bad thing, people! Fat is satiating, meaning it actually helps keep you full, which is what we want after we eat, right?! For the record, fat is an essential nutrient that plays an important role in our bodies and our health. It is not something that needs to be avoided! Just try to focus on consuming more of the beneficial fats found in foods like nuts and seeds, avocados, extra virgin olive oil, avocado oil and fatty fish, like salmon and tuna. These fats specifically have been linked to reduced inflammation and reduced risk of heart disease. 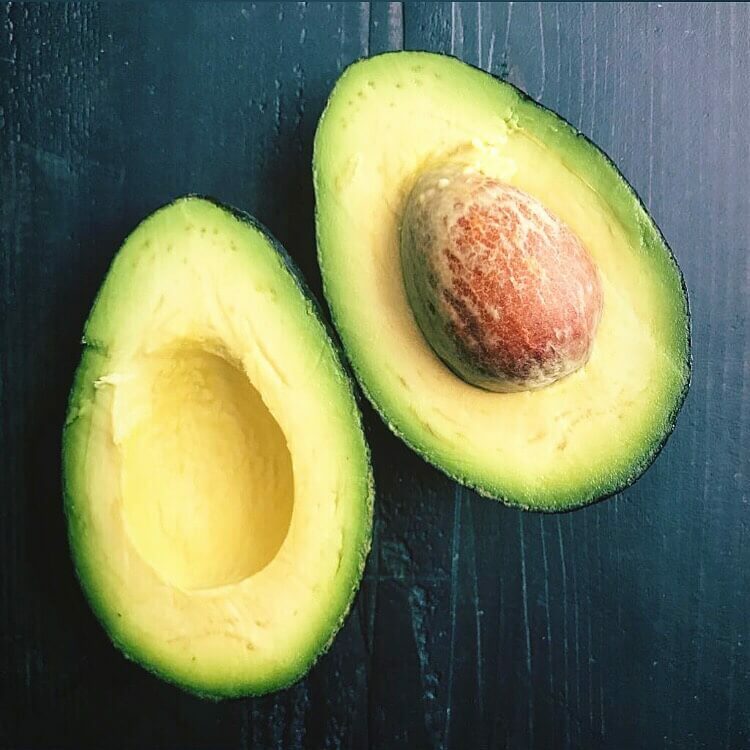 Head to this post for tips & tricks on picking the perfect avocado. This trail mix also satisfies my sweet tooth. Yep, I’m a sucker for sweets, especially chocolate. That’s why I like to throw in some dried cranberries and dark chocolate chips – to cover alllll my sweet & salty bases. 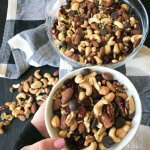 What is considered a serving of this healthy homemade trail mix? Someone recently asked me, “What would you consider a serving of this trail mix?” Most trail mixes consider 1/4 cup to be a serving, but that is such a measly amount, if you ask me. 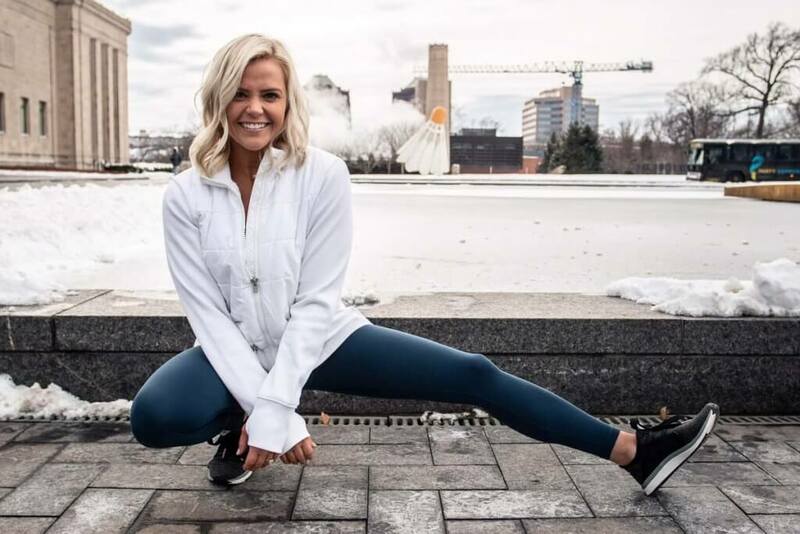 As an intuitive eating advocate, I have a hard time preaching about serving sizes, because I truly believe we have the ability to determine how much we (as an individual) need to feel satisfied. Some days, I may be satisfied with 1/4 cup serving, whereas other days I may eat closer to 1/2 cup. I personally don’t measure out an exact “serving” of this Healthy Homemade Trail Mix for myself when I pack some in my lunch box. I know that my appetite is bigger on some days than others, and that is okay. When I’ve had enough, I stop eating! This can be a difficult concept to grasp if you’ve been dieting or counting calories for a long time. I promise; it is possible to trust your body to tell you when you’re full. It just takes some time and hard work to get to that place. Click here for more information on intuitive eating and food freedom. 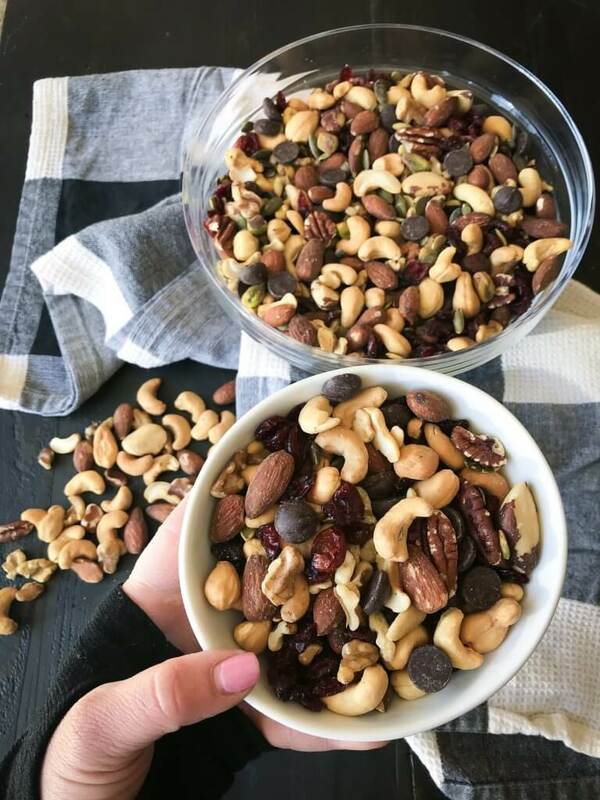 This Healthy Homemade Trail Mix is the perfect combination of salty & sweet and makes a great anytime snack! Combine all ingredients in a large bowl. Stir until all ingredients are evenly distributed. Store in an airtight container in the pantry. Feel free to add more or less of any ingredient as desired. I only provided specific amounts for the sake of the “recipe”, but as always, make it your own! This recipe makes roughly 7 cups of trail mix. Serving size is approximately 1/4-1/2 cup. 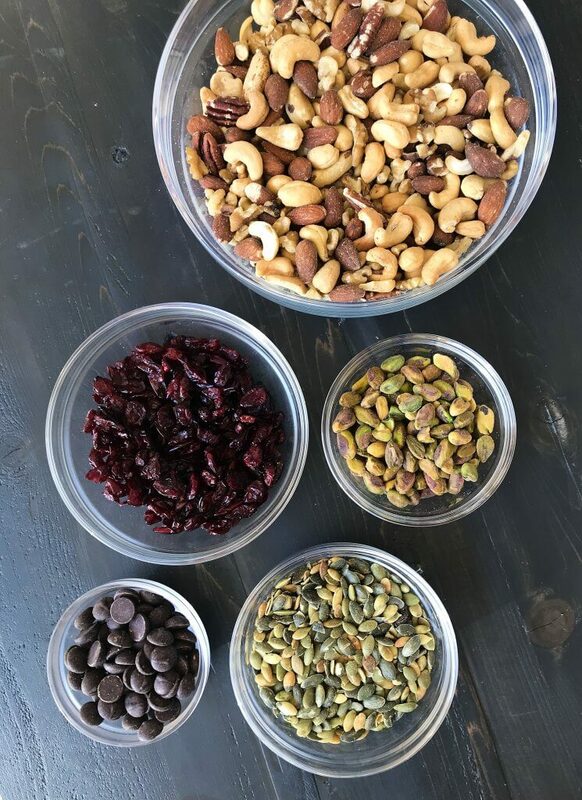 Lastly, I wanted to share the containers that I use to store this trail mix in my pantry, as well as other staples, like pasta, flour and other grains. They make your pantry look super organized and keep food fresh! Click here if you need some organization in your life. 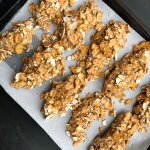 This Healthy Homemade Trail Mix is a staple in my meal prep routine, and I hope it becomes the same for you! Be sure to pin this on Pinterest so you can save it for later! I also love it when you tag me on IG at @wellnessforthewin. : ) Can’t wait to hear what you think!